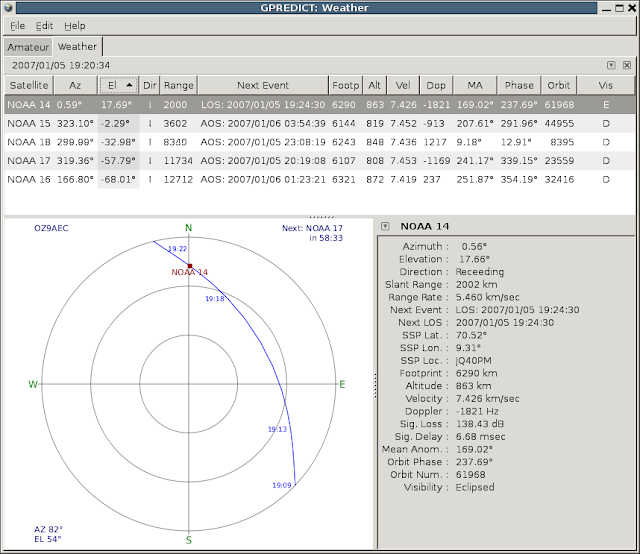 Gpredict is different from other satellite tracking programs in that it allows you to group the satellites into visualisation modules. 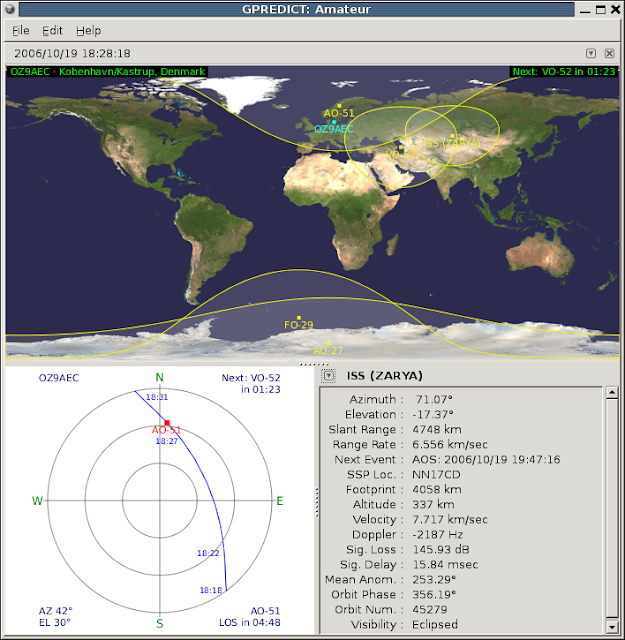 Each of these modules can be configured independently from the others giving you unlimited flexibility concerning the look and feel of the modules. 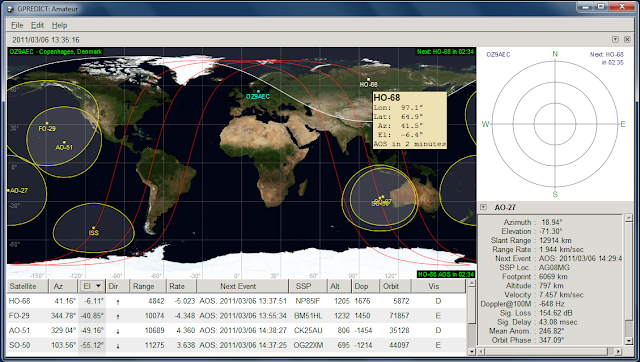 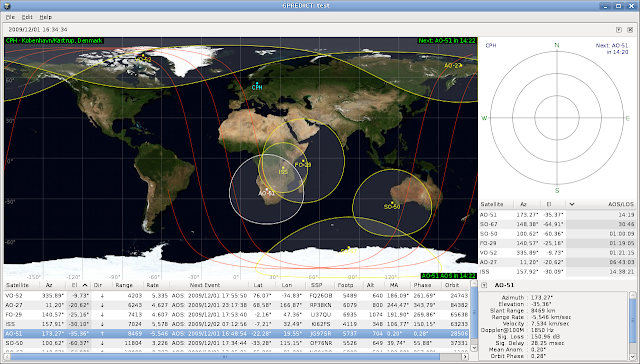 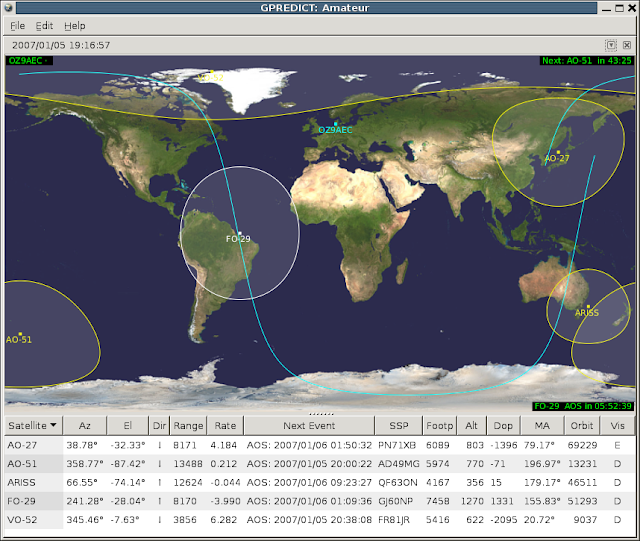 Naturally, Gpredict will also allow you to track satellites relatively to different observer locations - at the same time.